He noted that the European mission to combat people smuggling from North Africa, code named Operation Sophia, has only a limited effectiveness. The ships that track migrant vessels only have the ability to do so in international waters and not in Libyan territory. Mr. Le Drian says that a working government would benefit greatly by allowing EU ships to cooperate with Libyan officials to stop smuggling at the source rather than hope to find them miles out at sea. 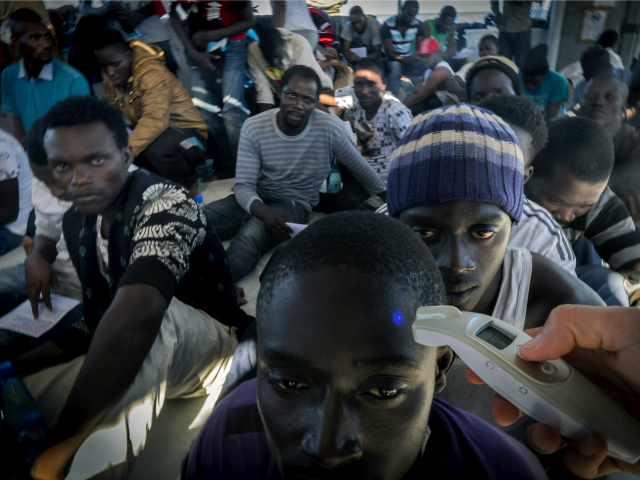 In the past year around 200,000 people have crossed the sea from Libya into Italy. Around 3,700 of them were killed in accidents where makeshift rafts capsized, resulting in drownings. Some migrants, later identified as Christians, did not survive the trip for different reasons, as they were thrown off boats by Muslims before they could make it to shore. At least 15 Muslim migrants were arrested in one particular incident according to Italian police. European leaders have convened a new summit for April 18th to discuss the situation in Libya. The topic of the summit will be how to potentially handle the 800,000 migrants who may attempt to cross into Europe this summer.